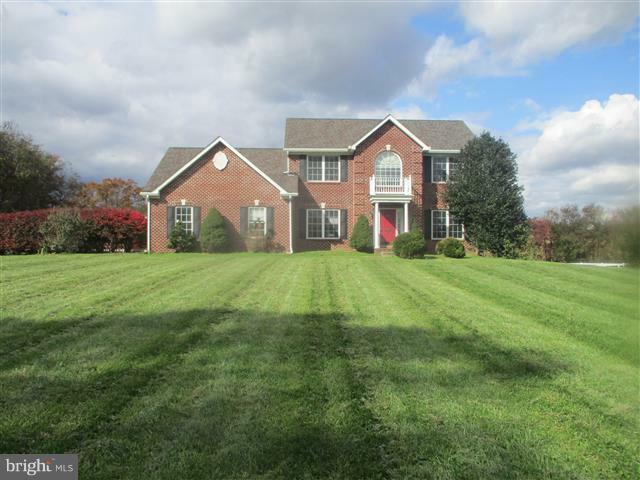 Custom Brick front Colonial on 3.74 acres. Open floor plan on main level features hardwood floors and fireplace. Formal Dining room and family room off kitchen. Kitchen has lots of cabinet space and center island. Crown & chair railing through out. Upper level has 3 bedrooms and 2 full baths. Mater bath has separate shower and tub with dual vanities. Full lower level is finished with family room , 4th bedroom and storage area. Walk out level to partially fenced rear yard. 2 Stall barn with office and detached garage spaces.